Thorough home inspections, easy to read reporting, ASHI certified. Contact Tim for your home inspection today! We have been serving Cedar Rapids, Iowa City and the surrounding areas over the last 12 years & provide one of the most thorough Home Inspections & reports in the area. Our reports are easy to read & understand with photos. We believe that a good home inspection should take 3-4 hours. 3 hours inspecting & 1 hour to review & do a final walk through with the client. Our interior inspections include Heating, Plumbing, & Electrical System’s, Walls, Floors, Ceilings, Windows, Attic, Basement and Structure. Our interior inspections include Roof, Chimney, Flashings, Valleys, Siding, Trims, Windows, Storms, Landscaping, Downspouts, Gutters, Driveways, Patios, Decks, Porches and Air Conditioner. We are a certified member of the American Society of Home Inspectors (ASHI) & have completed over 3,000 home inspections since 2007. 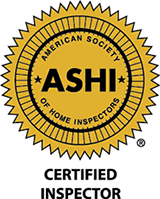 ASHI is an organization of independent, professional home inspectors who are required to make a commitment, from the day they join as ASHI Associates, to conduct inspections in accordance with the ASHI Standards of Practice and Code of Ethics, which prohibits engaging in conflict-of-interest activities that might compromise their objectivity. 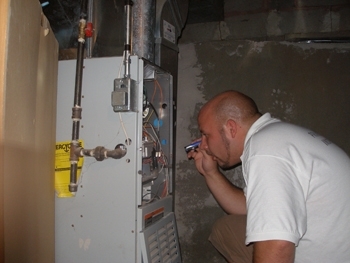 ASHI Associates work their way to ASHI Certified Inspector status as they meet rigorous requirements, including passing a comprehensive, written technical exam and performing a minimum of 250 professional, fee-paid home inspections conducted in accordance with the ASHI Standards of Practice and Code of Ethics. Mandatory continuing education helps the membership stay current with the latest in technology, materials and professional skills. Tim Stolba is the owner and ASHI certified home inspector. He has been inspecting houses for over 12 years and is a choice inspector amongst real estate agents in the Cedar Rapids and surrounding areas. As a real estate professional, Tim is one of the inspectors I recommend to my clients as he is professional, thorough, and provides a detailed report. Whether buying, selling, or if you're just wanting your existing home to be inspected, I'd recommend Prime Time. I highly recommend Tim. I have had him inspect two homes for me. He is incredibly thorough. He is very detail oriented and walks though the home with you at the end of the inspection to ensure that you understand the inspection report. Very reasonable prices. As a first time home buyer, I had a lot of questions about the inspection process and the home itself. Tim took time to thoroughly explain everything, answering any question we had and even asking if we had questions along the way. His report is thorough, with pictures, recommendations, and highlights of major concerns. I'll recommend Tim to any home buyer in the area. We have used Tim’s inspection services for the purchase of our last few rental properties and have a lot of respect for Tim and his work. I trust the work Tim does and learn a great deal in the debrief Tim provides after each inspection. We consider Tim to be a vital member of our real estate team and have and will continue to recommend Tim to others purchasing property. We have used Tim for our inspections for several years and have always been happy with his customer service to our clients, knowledge of his work and his professionalism. We highly recommend Tim and we will continue to use him as well. Prime Time Home Inspections has been serving Cedar Rapids, Iowa City and the surrounding areas over the last 12 years. We provide one of the most thorough home inspections and reports in the area.